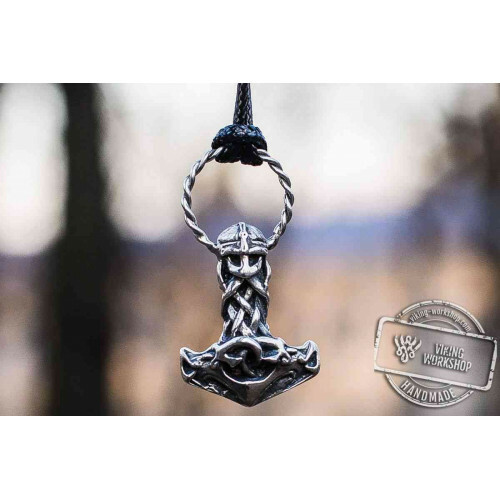 Wolf and Hammer pendant is not a typical combination of Norse myths signs. 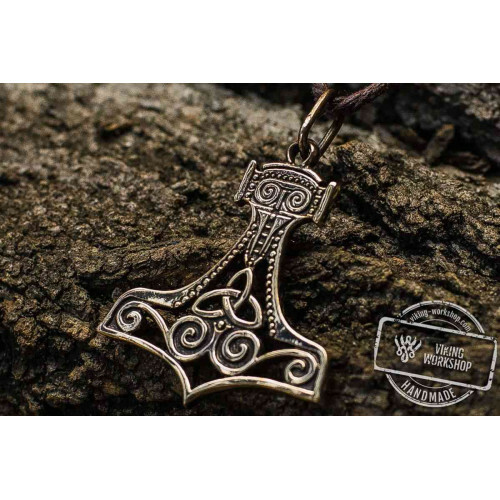 Thor was a mighty, hammer-wielding deity who is associated with heaven powers as deadly lightning, ruining thunder and storms. His strength was compared to the strength and endurance of an oak tree. He owned a heavy hammer which only a worthy person with pure thoughts and intentions was able to lift. Wolf was considered a guard of deity, protectors of people and faithful servants of warriors. We see the combination of two symbols in one amulet. 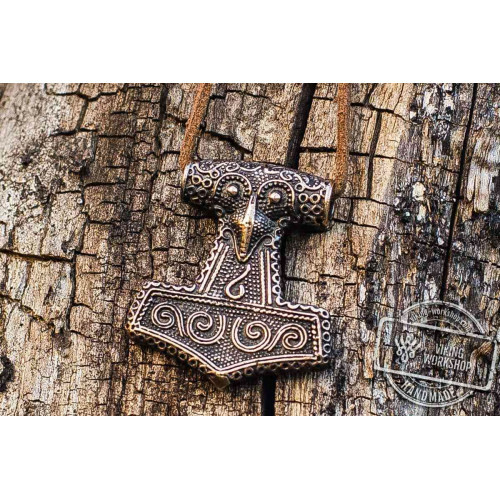 The wolf will protect you from evil while the hammer will give you divine power. 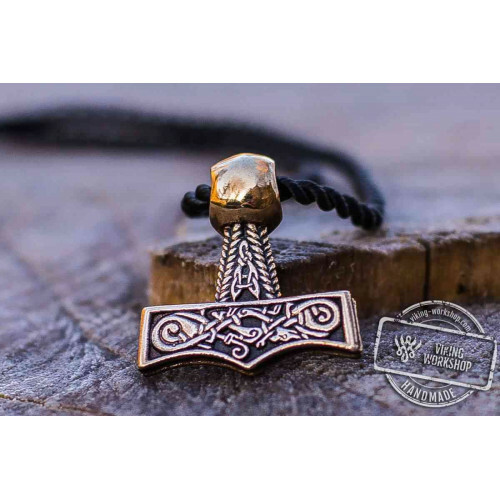 This handmade pendant is made of bronze, but it is also available in gold and silver. The pendant comes with a durable cord (the cord may be different from the photo).